Sing with Kate & Steve every Wednesday! 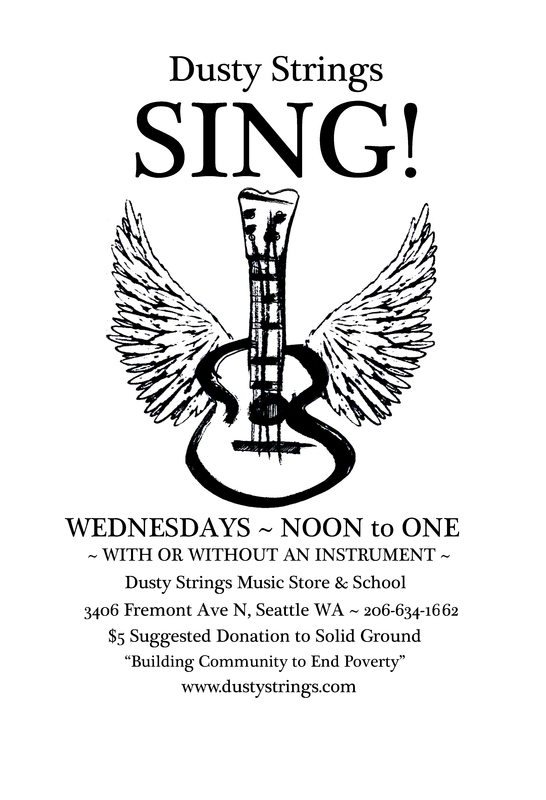 Kate & Steve are leading the underground sing at Dusty Strings every Wednesday from noon to one. All welcome ~ with or without instruments! Sublime harmony guaranteed. Donations go to Solid Ground “building community to end poverty” in Seattle. Join us every Wednesday and harmonize in community.